Here are pictures of a couple of Duetrons. A Duetron is a device that allows two people to look through the same telescope at the same time. 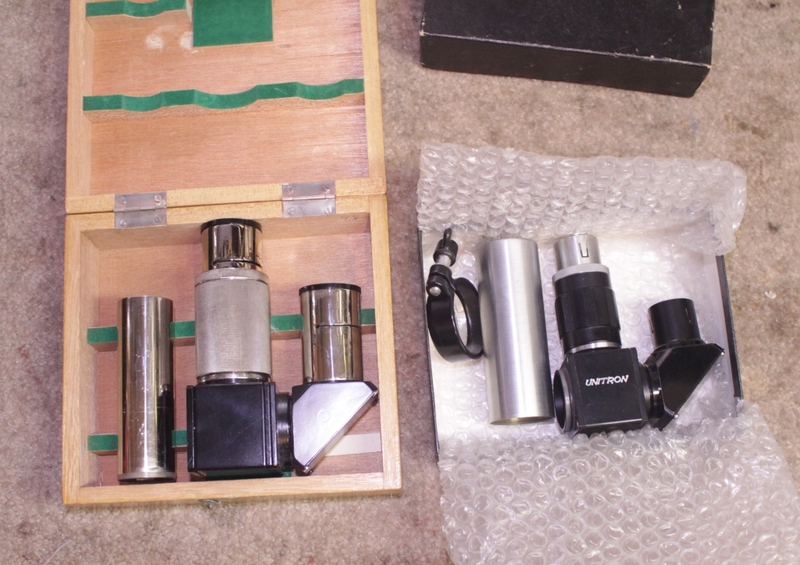 It was an accessory available from the Unitron company for many years during the 1950′s through the 90′s. The most common version was designed for .965″ eyepieces. A more rare version was designed for 1.25″ eyepieces. Here they are pictured next to each other. 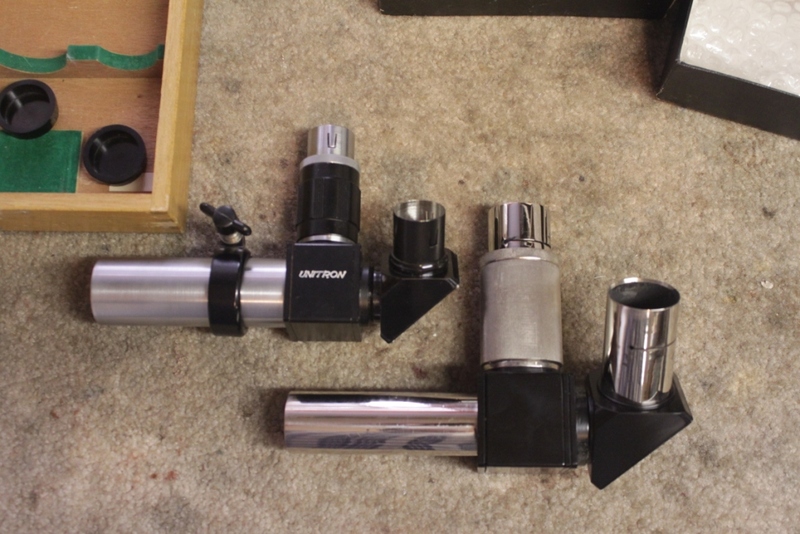 The one on the left in the bottom picture is the more common .965″ version. Note that the 1.25″ version is designed to go into a 1.25″ focuser while the .965″ was designed to fit into a Unitron draw tube. This entry was posted in Unitron Telescope on May 7, 2015 by DaveTrott.